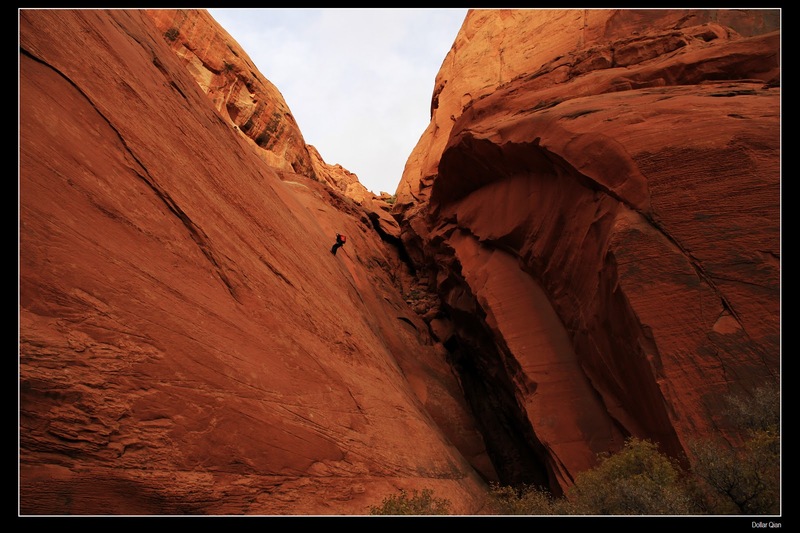 The Southern Terrain has been offering canyoneering in northern Arizona for several years and this past program with the Kellogg LEX team was one of the best. This group of future leaders are all studying at the prestigious Kellogg School of Management. 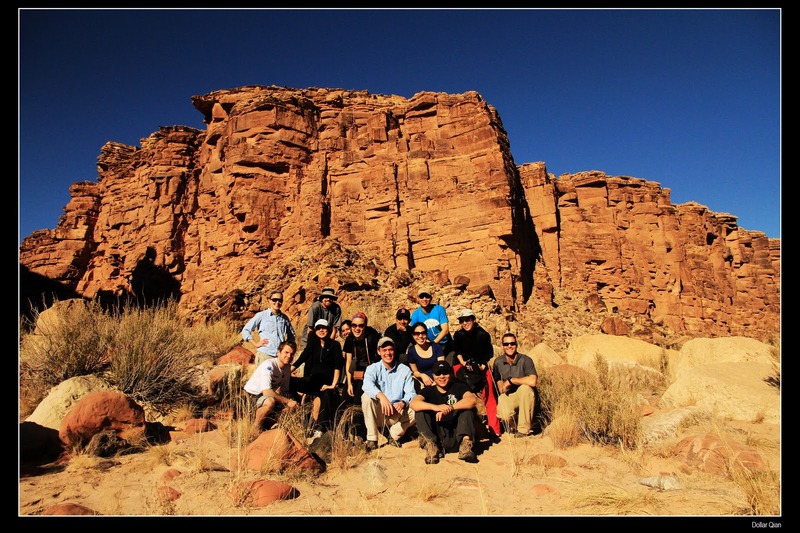 Each fall this group travels to the southwest to enjoy a weekend in the canyons to push their boundaries by trying something outside their comfort zone. The team arrived into Phoenix late on Friday night and made it to an already set up camp in the wonderful town of Sedona. The following morning the guides at The Southern Terrain prepared a hot breakfast before departing to the spectacular overlook in Oak Creek Canyon. It was very windy at the overlook which made this training day challenging yet effective for the LEX team. After several rappels and climbs the group loaded up in the vans and began the drive up to the Grand Canyon. The drive gave everyone a chance to catch up on sleep before we began our next day of adventure. 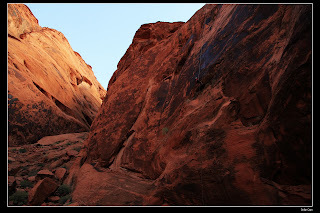 Can You See the Person Rappelling? As we arrived to camp we were greeted by our guides who had camp all set up and amazing snacks ready for us. After an hour of relaxing at camp we were wowed by the magic of the Dutch Oven and fabulous cooking by Josh. 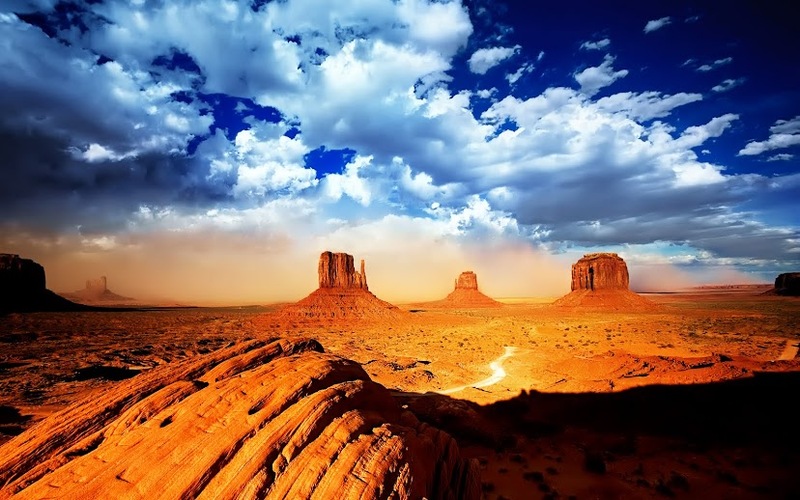 We all had a great night's sleep underneath the Vermillion Cliffs with thoughts of what was to come the following day. The next morning we woke up to spectacular weather, and while it took a little to get going, the entire team was up and out of camp by 7:30 AM. As we ventured out of the region we had the chance to look at the famous Horseshoe Bend which is certainly one of nature's true natural wonders. The hike into the canyon is almost as amazing as the canyon itself. 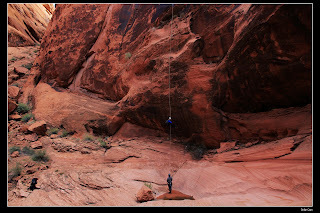 Once we arrived to our canyon everyone was glad we had the opportunity the previous day to practice our technique and be more comfortable being on the rope. 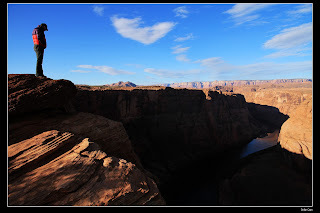 The first person down had an uninterrupted view of the canyon and the images we saw were something out of a story book. Our first rappel was almost 200 feet and the guides at The Southern Terrain were patient and helpful in trying to encourage the group to enjoy the experience. 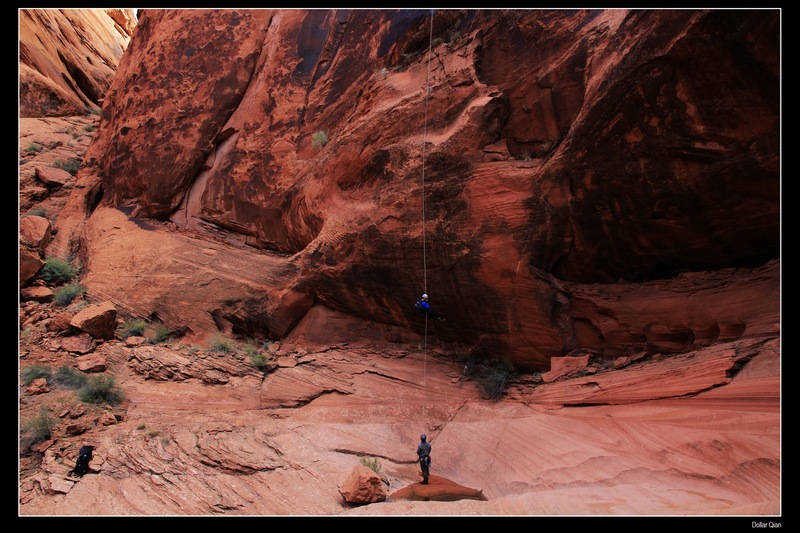 After the group was in the canyon we began navigating through the slot with several rappels of various lengths. There is one section where we had to jump into the cold water up to our waist and wade through before making it out to the other end. 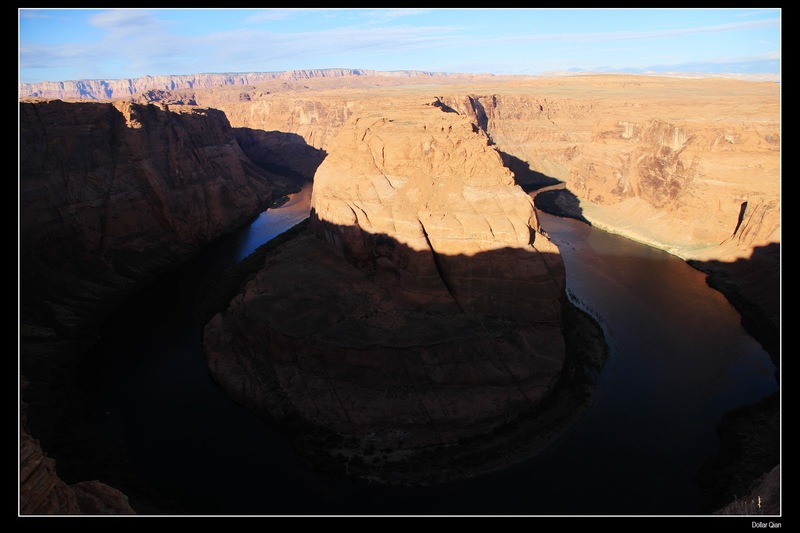 There is a section just after the water that is extremely picturesque with all the rappels lined up in a row. All this while surrounded by an amazing streaked wall of sandstone soaring a thousand feet up above. 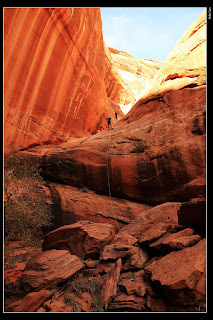 As we moved through the canyon each person was becoming more and more comfortable with the rappels. The final rappel was special, and even though it was over 150 ft., it is so smooth and fun it was one of the best of the day. The final day of the program was a great hike down to the River. The hike traveled through a narrow slot canyon, without any rappels, and made its way out to the River. 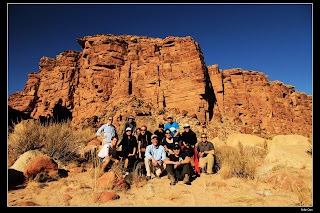 The trip was fantastic and we wanted to thank all the participants for an amazing effort throughout each day. We are looking forward to seeing you all again on a future program. 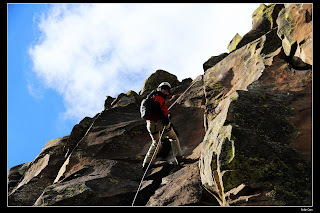 If you are interested in canyoneering in Los Angeles or canyoneering in the remote canyons of northern Arizona, The Southern Terrain would love to share their passion for this region with you. Please visit our website at www.thesouthernterrain.com or give is a call on our office line + 1 (858) 356-9411. You can also e-mail is directly at info@thesouthernterrain.com. Until next time this is TST signing off.